End of the week check-in! How are we all feeling? It’s been a good week here…lots of behind the scenes business going down. I’m very grateful that I’ve been able to turn my passion for food writing and blogging into a business, but as with any business, there’s a whole other side that goes unnoticed by most. Sure, I can work in my jammies if I want to (bonus of working from home!) and drink margaritas at four on a weekday (I never ever do this…ok maybe I do this…) but sometimes I have to put on my big girl business hat and grind it out. This has been one of those weeks! In case I haven’t told you, my book is coming out September 4th! I’m THRILLED, especially since it’s been three years in the making. Can you even believe it? I can’t. I just saw the cover for the first time last week and love it. I know I haven’t talked much about the book on the blog lately, so for those of you who don’t know, my book is a “culinary coming of age tale”—-basically, it’s a memoir of my time going through culinary school with recipes thrown into the mix. The name of the book is White Jacket Required. I can’t wait for you guys to read it! I’m also working on a blog redesign, which will be officially launched in a couple months. That, too, has been a loooong time coming and it’s exciting to watch the process play out. I think you’re going to love it. Or at least, I hope you do! Whew! Now that we got all that out of the way, let’s move on to tasty business. After the last day of the cookbook shoot last week, Diane made everyone rice noodle bowls to celebrate while Todd was busy in the kitchen making the most addicting spicy sriracha garlic knots. You know you love to cook when, after cooking all day for work, all you want to do is cook some more. 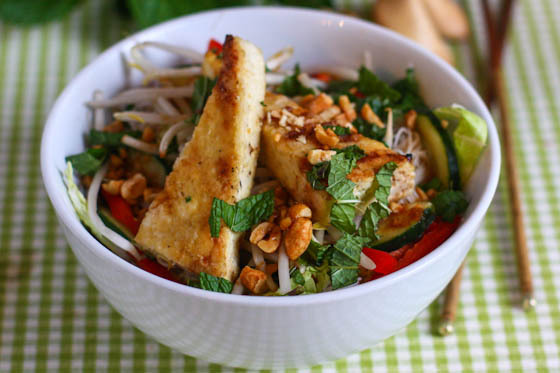 These bowls feature oodles of rice noodles, veggies and crispy crunchy tofu! Dunking the little tofu triangles into a mixture of cornstarch and salt prior to frying keeps ’em crisp…kinda like the orange peel shrimp! Then, I made a quick sauce for the bowls using soy sauce, fish sauce, ginger, sriracha (!) and maple syrup. I know…I know…it’s finally time to just bite the bullet and buy that bottle of fish sauce you’ve been avoiding for months. Finally, I topped the bowls with fresh mint, cilantro, bean sprouts and roasted peanuts. The flavor combination was fabulous…I especially loved the crunch of the peanuts! If tofu ain’t your thang, try grilled chicken or shrimp on top. I personally love the crispy tofu though. Bring a large pot of salted water to a boil. Once boiling, add the rice noodles and turn off the heat. Let noodles sit in hot water for about five minutes, then drain and rinse thoroughly with cold water. Squeeze excess water from the noodles and set aside until serving. Heat the oil in a large skillet or wok over high heat. Combine the cornstarch and salt in a bowl. Dip each tofu triangle in the cornstarch then place in the hot skillet. Fry triangles for about four minutes per side, or until golden brown. Once done, remove carefully and place on paper towels to drain. Now, make the sauce! Combine all sauce ingredients in a small bowl and whisk well. To assemble rice noodle bowls, place a mixture of rice noodles and cabbage in the bottom of each bowl. 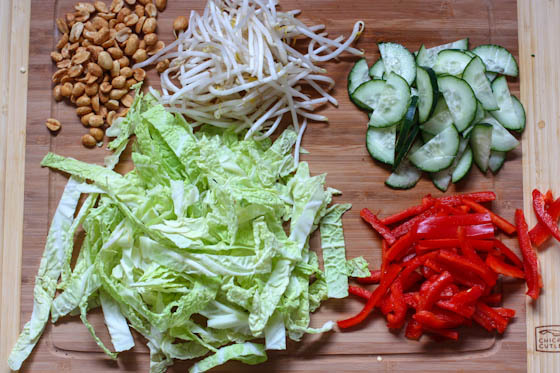 Top with bell pepper slices, cucumber, two tofu triangles, bean sprouts, green onions, mint, cilantro and chopped peanuts. Drizzle sauce over top or serve sauce alongside bowls. ohhh. Thank you so much for the crispy tofu tip. I always want mine crunchier… and now I know the trick! Tofu going on the grocery list for the week. That’s exciting! Can’t wait to read the cookbook. It’s already listed on Amazon, but it looks like you’re name is spelled incorrectly on the cover? Exciting! I almost always by my books used (I can get them so cheap at the flea markets here in Germany), but I think this is one I might have to pre-order and pay extra to have it shipped all the way over to me here in Hamburg. Having your book show up on Amazon is pretty cool. Congrats! That is one tasty looking rice noodle bowl! I am liking all of the fresh ingredients! Very excited about your book – congrats! The first time I ever tried tofu, it was a crispy, fried, sensational little being! I haven’t had it fried since, but I thiiink this recipe just forced me to re-try it. So good! Ooo love the title! Seems like the topic will be new and refreshing. This recipe looks awesome, but I am so excited for you and to read your book! I’m so excited about your book Jenna! I didn’t know it was coming out in September but I’ll definitely be watching for it. This recipe sounds awesome… and to think that I wasn’t “a tofu person” a couple of years ago. My mouth is watering already! I love rice, especially white rice. Its easy on the stomach and perfect at any meal. Exciting! Do you shop with a budget or spend a little more since it’s part of your job? Yep–I have a budget…I would go crazy if I didn’t. Congrats on the book! Looking forward to seeing it. Do you press/drain the tofu for this recipe? 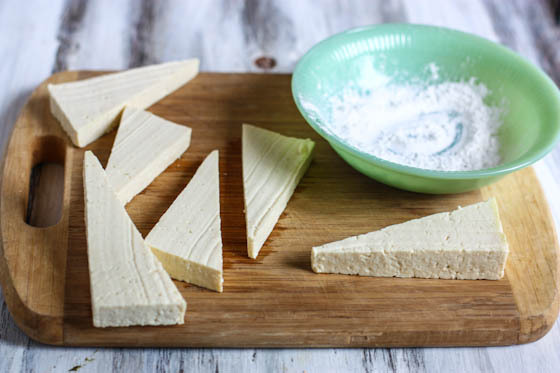 I struggle with tofu at home – but want to try this recipe. Thanks! Nope! Just use extra firm tofu and there’s no need to press and drain. Just slice into triangles and use! Can’t wait for your book!!! Exciting times for you!!! Congratulations on your book! Given that I take like 4 weeks to write a blog post, I cant imagine how much work it must have been. Yummm this is my kind of dish !!!! Can’t wait to try! Love tofu! oh how exciting! i will definitely be perusing your cookbook when it comes out. ps. this dish looks AMAZE! 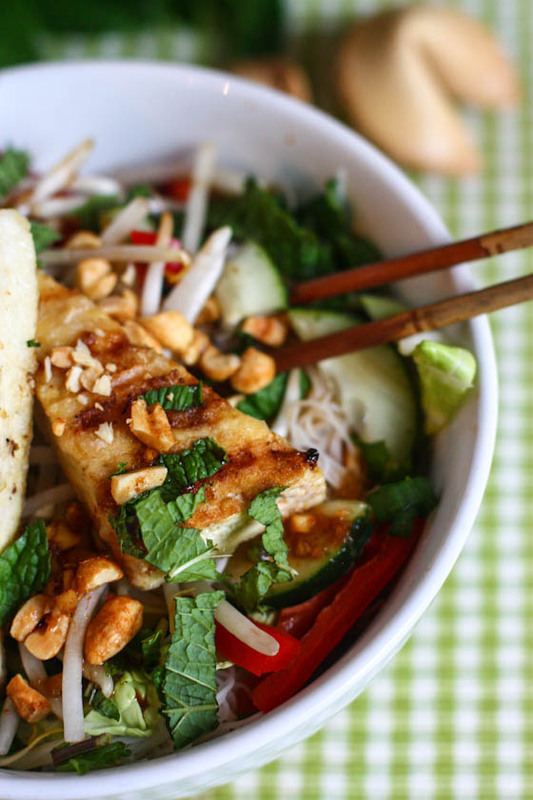 Your rice noodle bowl looks incredible, Jenna. This is my most favorite style of food – love all of the different flavors and textures. Congrats on your book! I can’t wait to check it out when it becomes available! That crispy tofu looks awesome! Ha! I just bought fish sauce yesterday because I’ve never used it before and I felt like it was an essential ingredient that needed to find it’s home in my kitchen. I’ll try out this recipe – it seems easy enough! congrats on your book! I’m getting excited to read it! 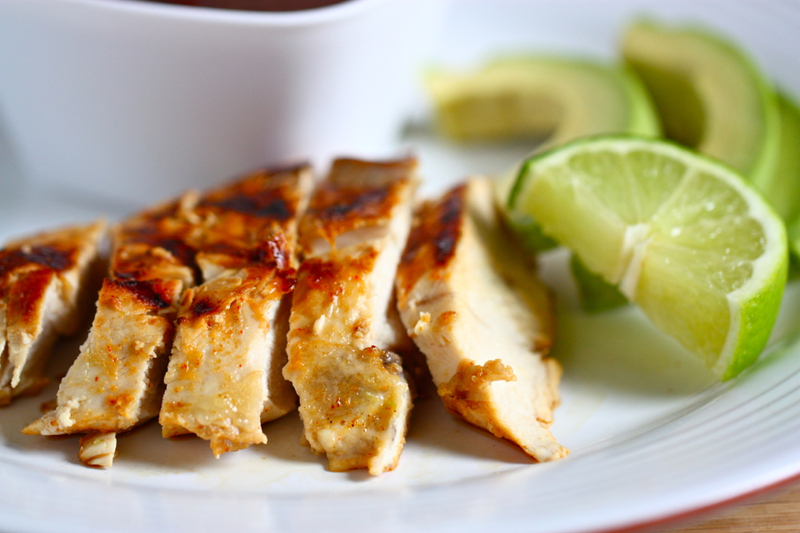 mmm..this dish looks flavorful and easy to make. yum. 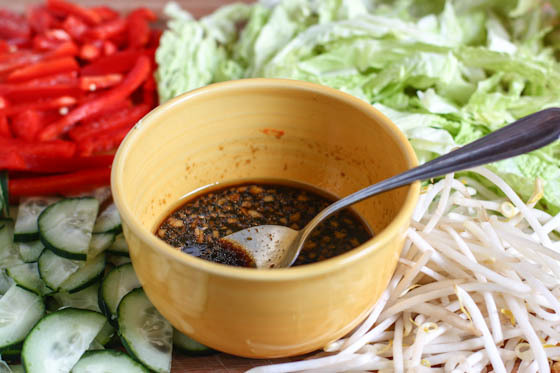 i have a phobia of fish sauce too…time to get over it! Can’t wait for the book to come out! This looks so good! I can’t wait to read your book! Will it be available on Kindle? I’ll be in Morocco (with the Peace Corps) when it comes out, which might make shipping difficult. Thank you and yes! The book will be available on kindle. Congrats on the book! I can’t wait to read it!! So excited for your book! And LOVE this meal! This could just be the recipe that FINALLY gets my hubby to eat tofu! I can’t wait to make it! Jenna this tofu and meal looks awesome! I love how browned and crispy you got the tofu and the marinade I bet is just delish. Digggin’ the stripes/grill marks on the tofu, too. I love crispy tofu. Hey Jenna! This looks absolutely amazing! I do have a question. I usually fry my tofu for about 8-10 minutes per side to get it nice and chewy. But by dipping them in the cornstarch/salt mixture, will this shorten the time they need to cook? If anything, I’ve found that dipping in the cornstarch mixture actually lengthens the time the tofu needs to cook…but only by a minute or so. Worth it! I love tofu, especially crispy tofu! It does pair perfectly with soy sauce-based sauces, and I can imagine how everything tastes to well together here! You can just pour this down my throat if you want. I won’t stop you. No need to wait to have the tofu press—I didn’t for this recipe! Just use extra firm tofu and you’ll be fine. yummm! I love how fresh and delicious this all looks! The first and last photo – GORGEOUS! This looks like such a delicious dish – love the crispy tofu! A new Vietnamese restaurant opened in our town that serves pho soup. They have this amazing crispy tofu in it that looks just like yours! 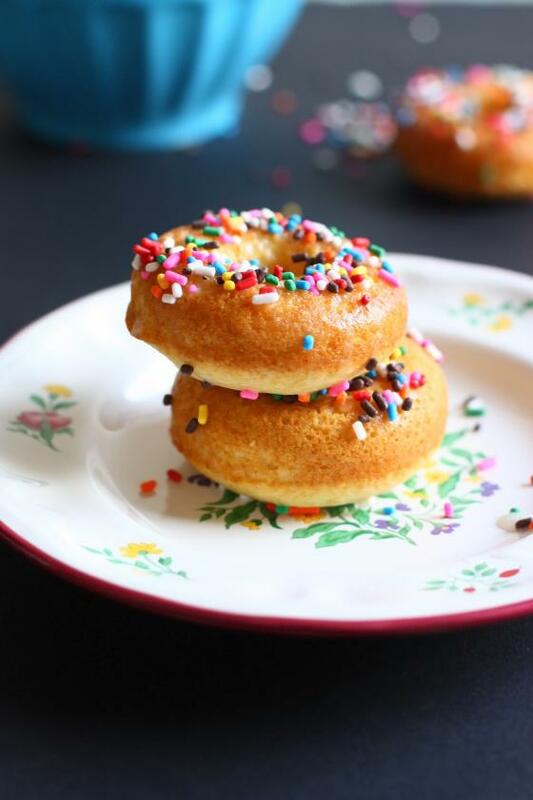 We’ve been hoping to try to make it at home…thanks for the recipe! Perfect timing. What would it be like w/o fish sauce? Or any suggestions for a substitute? I’m vegetarian….Thanks! Just leave it out. 🙂 It’ll still taste great. Congratulations on the completion of the book. I can’t wait to read it/eat the recipes in it! This recipe looks so amazing and something I would love to try out!! Your blog and cookbook writing are very inspirational to me. Can’t wait for your book! SO exciting that you turned your passion into a business. It’s a dream of mine :). Love this recipe. I’ve been wanting to include more tofu into my diet. The first tofu dish I’ve ever eaten (yes, ever) was your tofu banh mi and it was delicious! So I’m looking forward to making this too! Yum – this is definitely my kind of food. Bookmarking this one right now! I have a question for you. I don’t own any maple syrup (can’t stand it!). Do you think that sugar could easily replace maple syrup or does it add something special to the flavor? Thank you! I’m dying to make this recipe this weekend. Try adding honey instead. Or agave nectar! If you use sugar, you want to use a little less than the recipe calls for. Also I have a question, who is doing your blog re-do, I’ve been looking for someone and have no luck! Is that you on the cover of your book? haha I was wondering when/how you got someone to take a picture of you like that! I enjoy tofu when eating out, but the one time I made it at home, it was really dry. I will have to try it again! 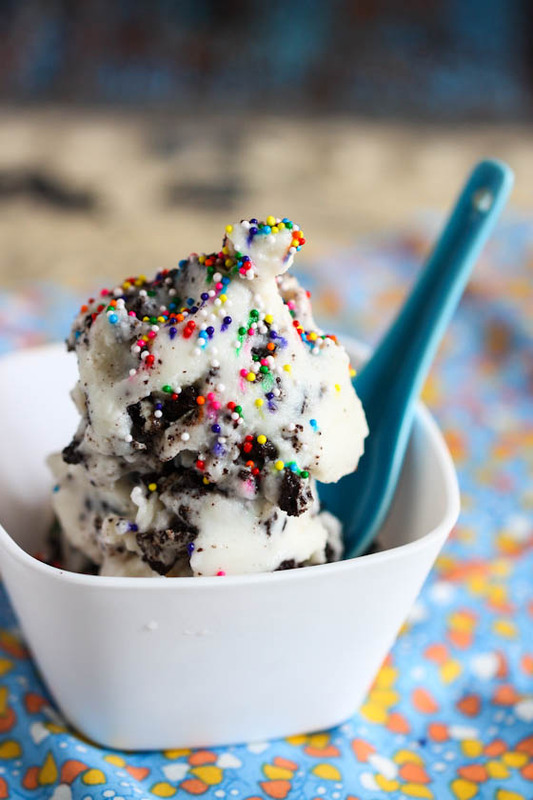 Umm, so yes, I want to be eating this right now. Yum! Congrats on the book date! Love the title! Can’t wait to get it. 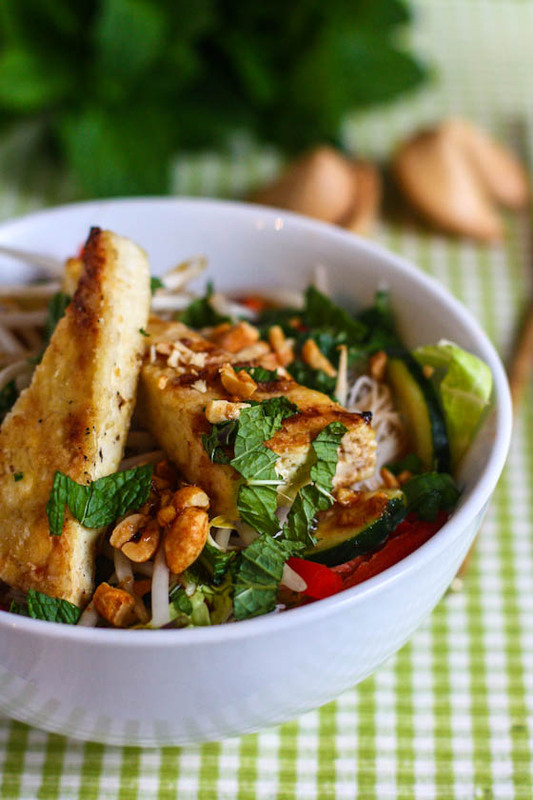 I’m going to try these rice noodle bowls ASAP. Looks delicious. This looks ah-mazing!! And I cannot wait for your book to come out! Can’t wait for the book and blog redesign! I’m a tofu fan so this recipe is perfect for me. My husband might even try it since it’s crispy! Yum! That sounds so good. I love tofu, but I’m the only one in the family. And I’m super excited for the book. This looks so good! I’ve been looking for a good Tofu recipe for awhile and i do love myself a good stir-fry…. i have had a bottle of fish sauce sitting in my cupboard for over three months & a few days ago, i finally used it. i’m both proud & beyond excited, it is a serious life changer. i’m excited for the book & blog redesign. Mmmm this looks so good! You make the best Asian food. 🙂 Happy Friday! This looks wonderful!! I love you!! Woohoo, congratulations on the book! I can’t wait to get my hands on a copy when it comes out. Will I be able to pre-order on Amazon? Obviously, I’m really excited to read it, especially if it includes awesome recipes like this one. I love tofu recipes, but generally find them to be boring as far as the flavor and spices they’re cooked with. I like things extra spicy and the sauce sounds like the perfect accompaniment to the tofu. Thanks for the great recipe! You rock Jenna! This looks amazing. I can’t wait to get your cook book – I have following your blog for a while and think you are just so talented and creative when it comes to creating dishes! these look so great– I really need to pick up some tofu the next time I’m at Trader Joe’s! Are you going to do a book tour? Yep! All that information will be released this summer probably. I don’t know too much about it yet! Oh good! I hope to meet you in Philadelphia. Congratulations! So excited for your book!!! Definitely going to pre-order from Amazon. Your blog is the first I ever read back in 2007 and I think it’s better than ever. Lately I have been cooking a lot of your recipes and have loved every single one (your chicken masala is the bomb.) Thanks for the great recipes and fabulous posts and pictures! Just lovely, I would prefer this over going out to dinner any night! About how much rice noodles is “one box”? Could I use a 14 oz. bag of rice stick (the kind they use to make pad Thai)? Will make this tonight! You can use those noodles! One box is 16 oz but 14 oz would be fine, too.